When it comes to any kind of emergency, being prepared can make all the difference. 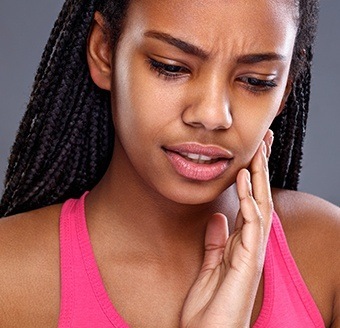 If you suddenly find yourself in need of dental care because of a bad toothache or oral injury, all you need to do is one thing: call Fulshear Dental. We recommend putting our number in your phone right now so you don’t have to look it up when you need it most! We make emergency patients our top priority, and we can even schedule same-day appointments for those in need of immediate relief. Why Choose Fulshear Dental for Emergency Dentistry? Rinse and floss around the tooth to remove any debris that might be stuck and causing the pain. Take an OTC medication and/or place a cold compress on the face to lessen any discomfort until we can see you. Rinse the mouth out with warm water and try to recover as many pieces of the tooth that you can. If the remaining tooth has a jagged edge that is irritating the mouth, you can cover it either with a piece of sugarless gum or some dental wax. 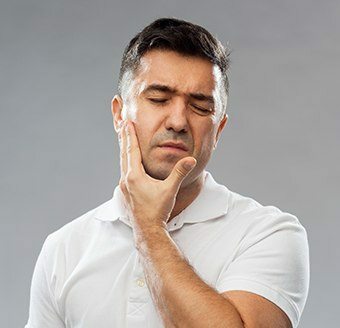 Find the tooth, rinse it off without disturbing any tissue left on the root, and try to place it back into its socket, keeping it there by closing the mouth. If it won’t stay, store it either in the cheek or a container of milk. You need to move fast in this situation as we can only save a knocked-out tooth about an hour or so after it has been dislodged. Can you find the restoration? If so, start by rinsing it off, and see if you can place it back onto your tooth. A little bit of toothpaste can help with this. If the tooth feels sensitive at all, it’s OK to take an OTC pain-reliever. No matter what your chosen sport might be, make sure to wear a mouthguard every time you play. Up to 40% of all dental injuries are sports-related! If you’re trying to open a stubborn piece of packaging, don’t use your teeth. Go grab the scissors instead. Instead of chewing on hard items like ice, pens, pencils, or fingernails, switch to sugarless gum in order to save your teeth from breakage. Brush and floss your teeth every day to prevent cavities and infections that could turn into emergencies later. Because there are so many types and severities of dental emergencies, there is no set price for urgent dental care. One patient might just need a prescription to deal with a minor infection, while another may require a few teeth to be removed and restored. In any case, Dr. Fifadara’s goals will be to get someone out of pain before repairing any damage. To help with the cost, our practice accepts most insurances and also offers low-to-no interest financing.